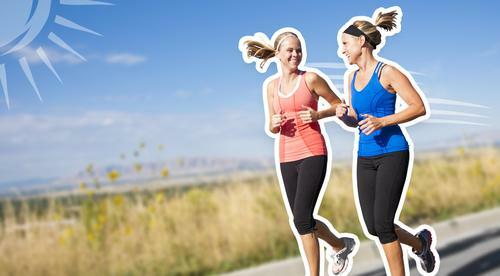 Share your goals, fun and achievement with a workout buddy. Sharing will help you both be more committed to reaching them! An ‘accountability partner’ will help you achieve the most important habit for fitness success –showing up! Meeting a friend at a set time for workouts will help you form a regular exercise routine. An ‘accountability partner’ also helps when things go off the rails, keep each other motivated and on track. It’s like having a personal trainer for each other! Workouts are a great opportunity to catch up! Plan to catch up at the gym instead of for coffee! Create your best self, stay in touch and meet new friends at the gym all at the same time! Keep things interesting! As your health and fitness increases you can add new exercised to your program.Training with a mate is a great way to step outside your comfort zone to try new things. Try fitness class or go in your first fun run, overcoming small (or not so small) challenges will help you feel even more accomplished and confident with your health and fitness. Most importantly, acknowledge your progress on a weekly basis. Things like a new PB, a challenge overcome and the effort made to fit your exercise into a busy schedule should all be celebrated. Sharing your successes reminds you why you started in the first place and keep you motivated to keep going for bigger and better things.